A frequent obstacle to the adoption of an Open Source mail server is the predominance of Outlook as a thick client because Outlook always works differently – and therefore more or less smoothly – with severs other than Exchange… until BlueMind’s soon-to-come innovation which will bring native Outlook support! This is a matter of user habit, but this is also due to a virtually inexistent offering of good open source, multi-platform email clients (for email and collaboration). The most popular open source email client is Mozilla’s Thunderbird which runs on Windows, Mac, Linux and others. But although Thunderbird is a good email client, it is a poor collaborative client. Its calendar feature is provided by an extension – Lightning – which has never been entirely satisfactory for enterprise use (in terms of ergonomics, performance, etc. ): users fail to understand having to use two different interfaces with different ergonomics and features depending on how they access it (web or thick client). BlueMind offers comprehensive, user-driven Thunderbird management, which precisely addresses these issues. 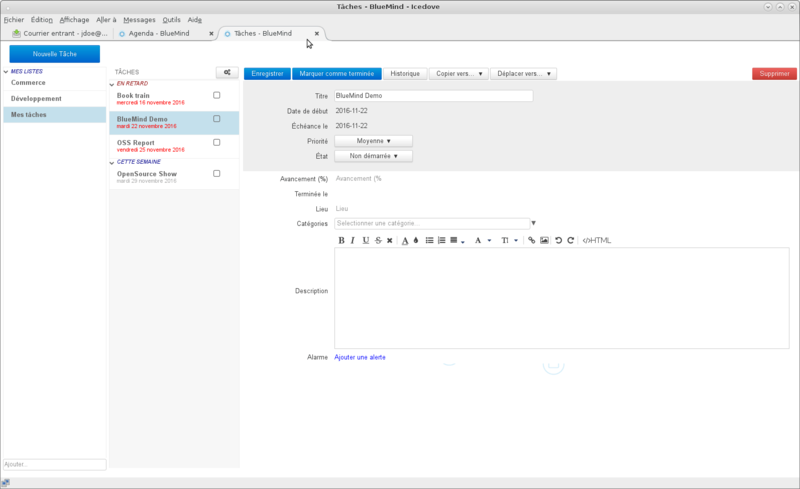 Discover Thunderbird as BlueMind’s natural thick client! 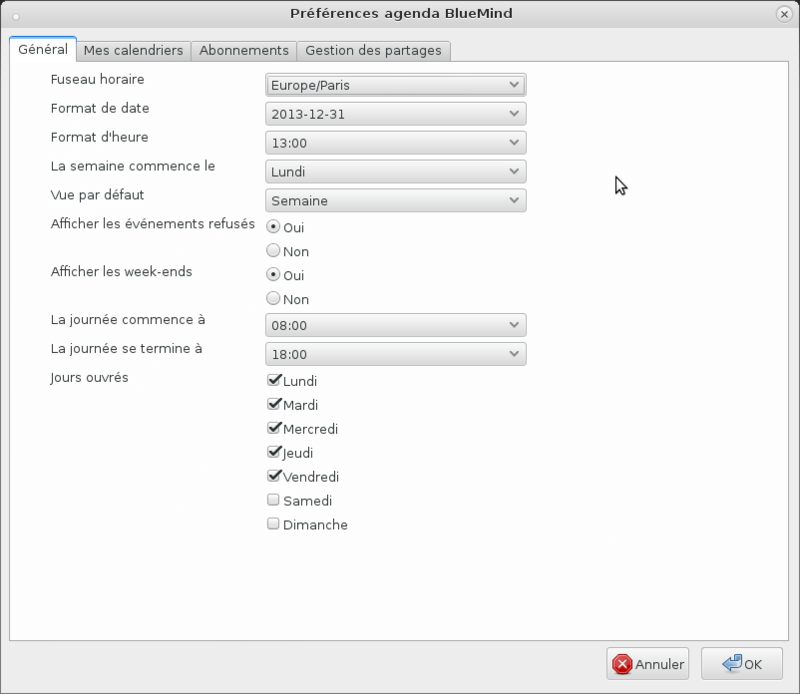 BlueMind incorporates highly advanced Thunderbird support with a dedicated plugin which adds a shared calendar, user directory, personal and shared address books and task management, all of which is synchronized with BlueMind. Web and thick client access are provided by a single application with an identical interface. As a result, users have no trouble using either a web browser or Thunderbird. It being the same application means that all features available in the web UI are also available in the Thunderbird thick client. This isn’t the case, for instance, with the Lightning calendar component for Thunderbird. 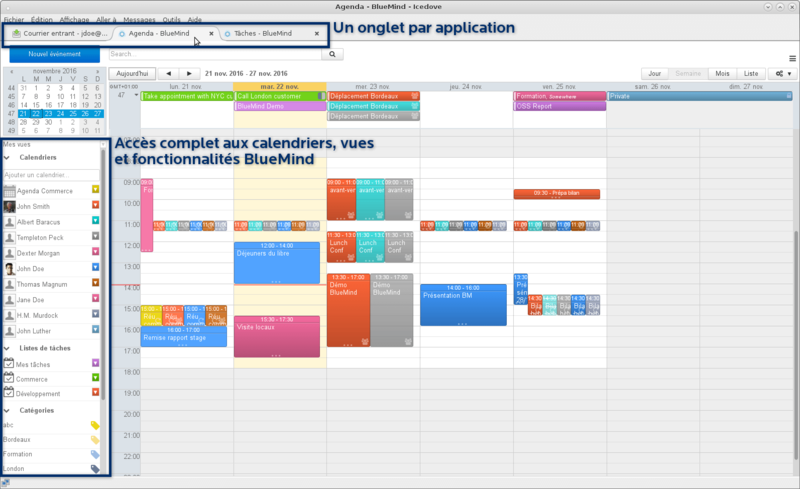 Since version 3.5, BlueMind incorporates comprehensive task management. 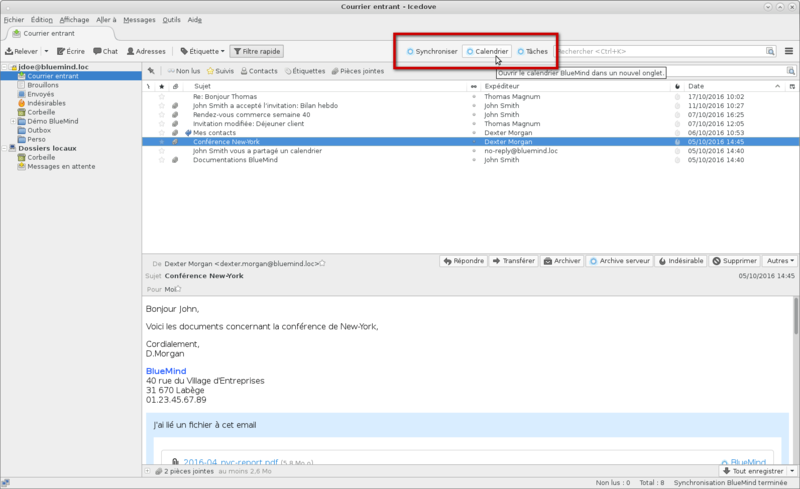 This same task management is also available in Thunderbird through the BlueMind connector. 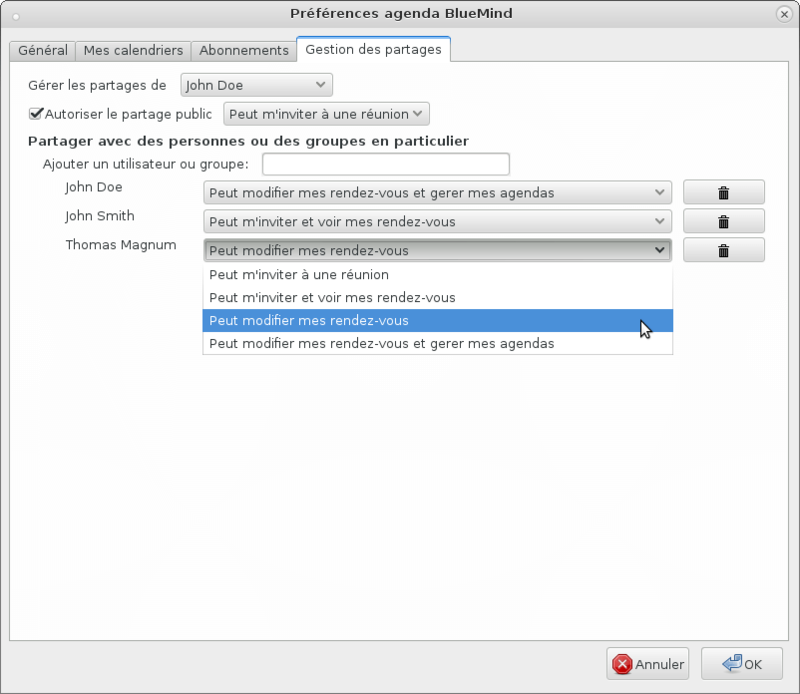 Based on the same principle, BlueMind tasks are displayed in Thunderbird with ergonomics similar to the web application, making it easier to use. The calendar supports offline mode. As a result, offline use is also native to the Thunderbird extension and allows users to access all data (email, calendar, contacts, tasks) via Thunderbird anywhere. This means users can access BlueMind tasks and calendar in Thunderbird at anytime, including when no internet access is available. In addition, we have paid special attention to increased load capability. The BlueMind plugin’s synchronization modes ensure excellent scalability and limit unnecessary server interactions. An increased load for several thousand Thunderbird clients doesn’t consume any more resources than for standard use. Settings management is integrated into Thunderbird. 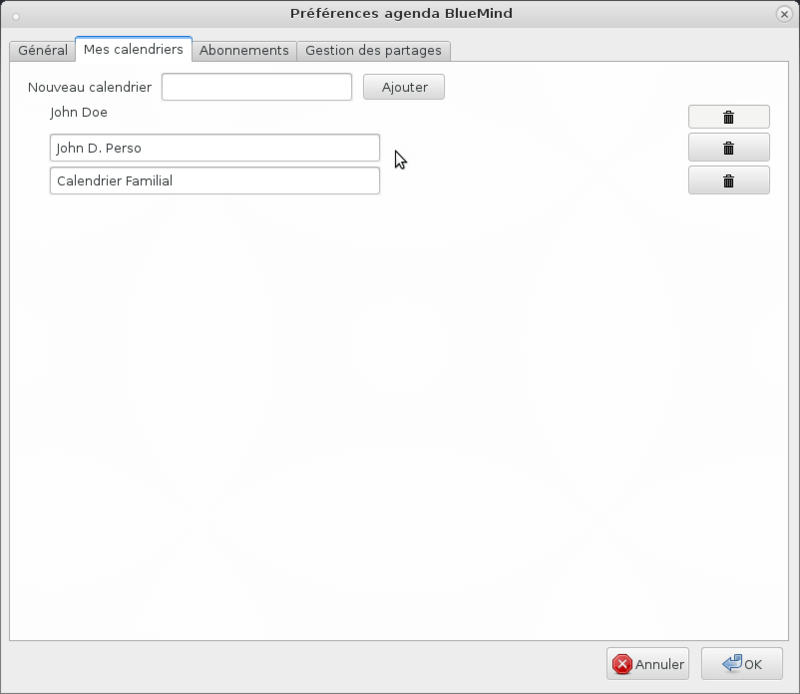 As a result, Thunderbird can be used as a single client for BlueMind without ever requiring users to connect to the web UI. 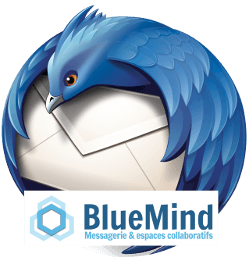 BlueMind has already built automatic deployment tools for the Thunderbird email client. Depending on the client’s environment, we design self-configurating plugins that ensure suitable automatic deployment and configuration. 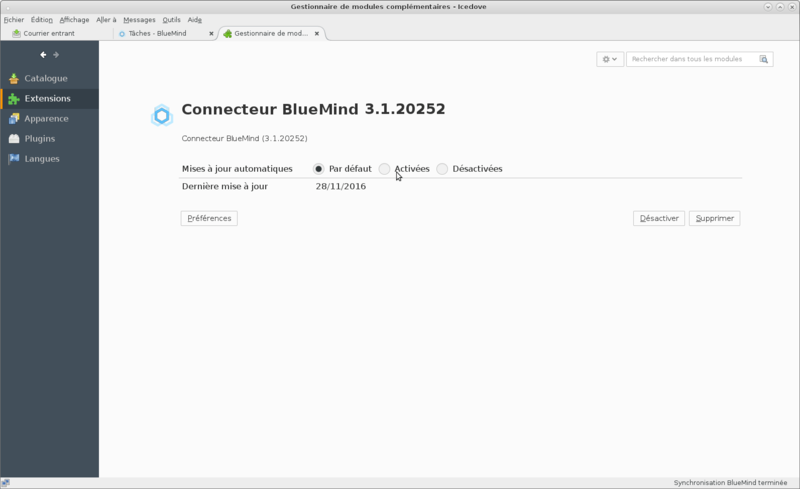 BlueMind incorporates a mechanism through which the Thunderbird plugin is updated automatically as soon as a new version of BlueMind is deployed. The Thunderbird connector has been validated for long time support from ESR version 17. Thunderbird is our go-to thick client for Windows, Mac and Linux. It can be used as a rich email client that includes all collaborative features and synchronizes perfectly with BlueMind.